Browse: Home / 2012 / November / Happy Halloween! How did your halloween go? 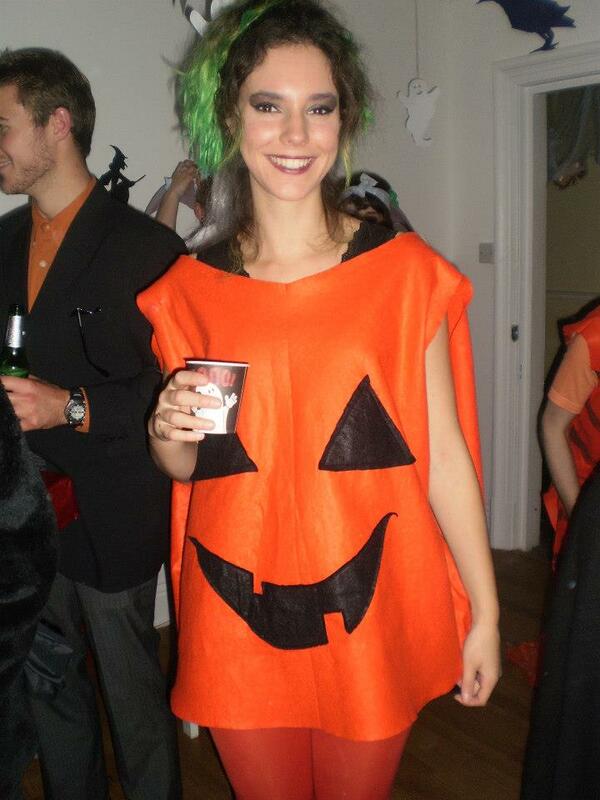 I had a house party, and had a great time dressing up as a pumpkin! 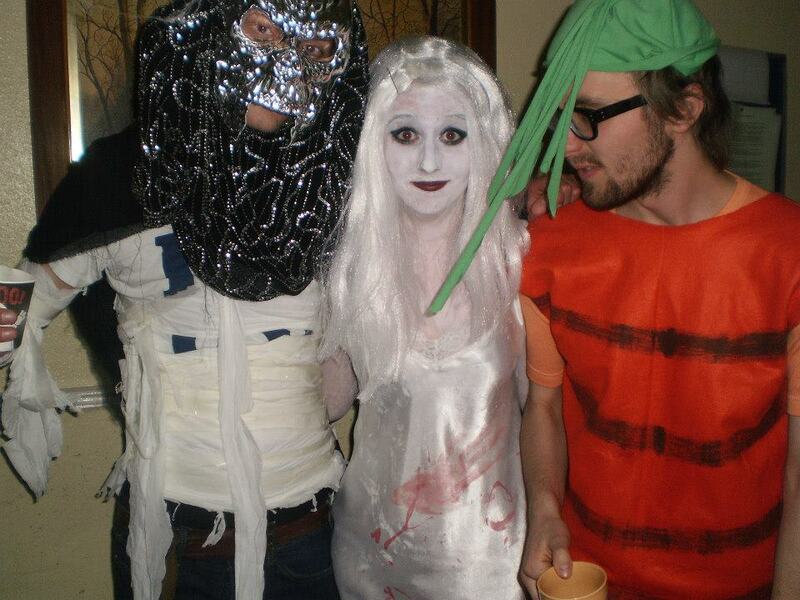 James dressed up as a carrot, for some reason that I can’t remember. Maybe it’s his favourite vegetable. These are some post party photos of us all dressed up. I’m sorry the photos aren’t the best quality, I’m saving up for a proper camera, but for the moment I just have my phone. I made both our costumes, so I thought I’d show you how I did it. For the pumpkin, you will need: Fabric scissors, Orange felt (I used 2 metres), Black felt (I used ¼ of a meter), Orange thread, a Needle, a Pen and a Sewing machine (optional). 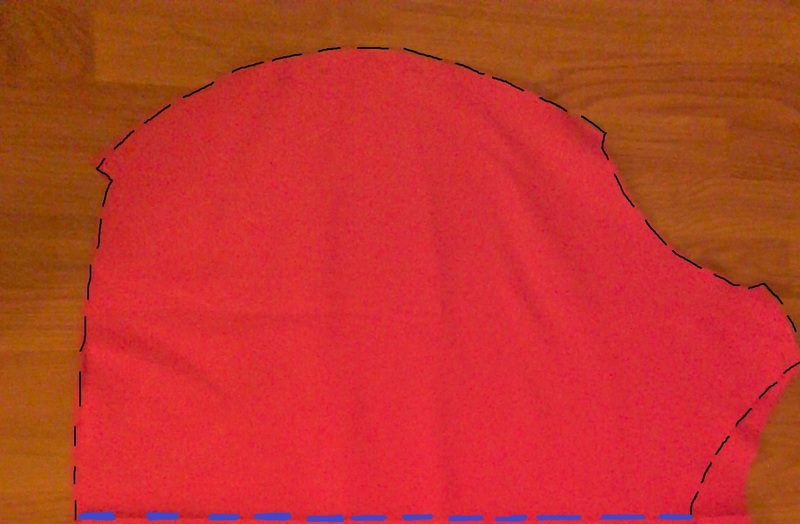 Step 2: Place the pumpkin shape onto your second half of orange fabric, and draw around it. Then cut it out. I find it easier if I pin one piece of the fabric to the other whilst I’m drawing around it, so that it doesn’t slip. This should give you the second half of your pumpkin. 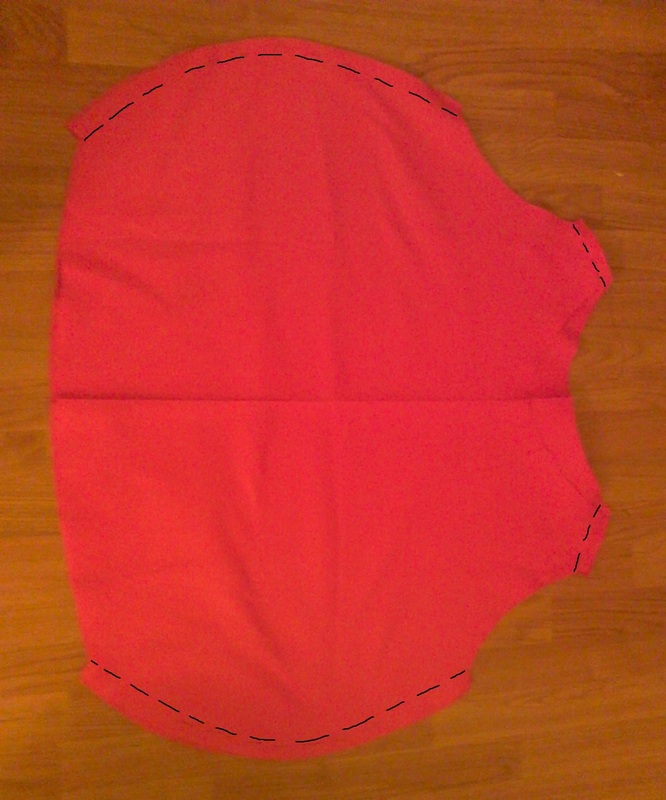 I did the neckline on the back half of the pumpkin so that it’s less low that the neckline on the front. 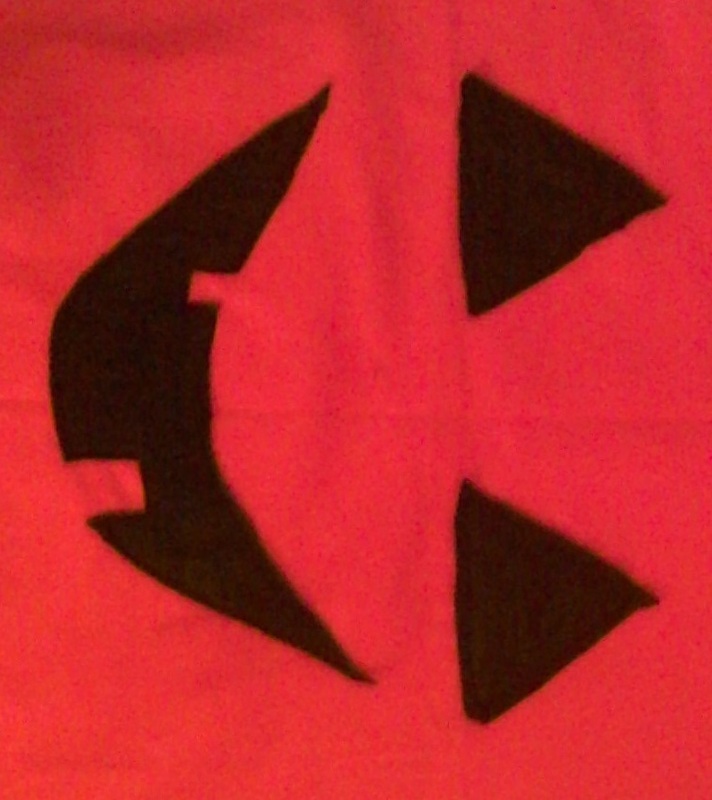 I sewed mine together loosely first, and then ran it through the sewing machine, but you can do it by hand too. Step 5: Turn your pumpkin inside out, so that the seams are in the inside. Sew the eyes and the mouth onto the front of your pumpkin, but make sure you don’t sew them onto the back as well! For the carrot you will need: Fabric scissors, Orange and green thread, Orange felt (2 metres), Green stretchy material (1/4 of a meter), a Needle, a Pen, a Sewing machine (optional), a Paintbrush, and Brown acrylic paint. 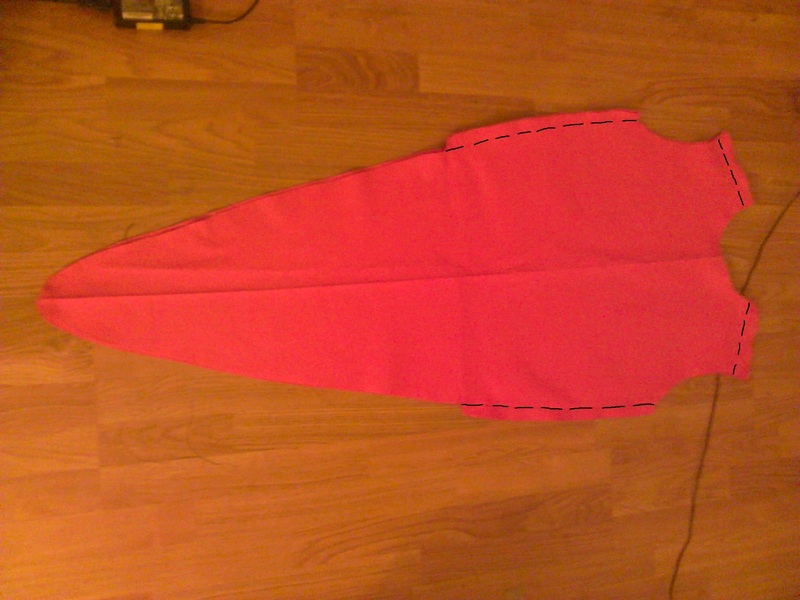 Step 2: Place the carrot shape onto your second half of orange fabric, and draw around it. Then cut it out. I find it easier if I pin one piece of the fabric to the other whilst I’m drawing around it, so that it doesn’t slip. This should give you the second half of your carrot. 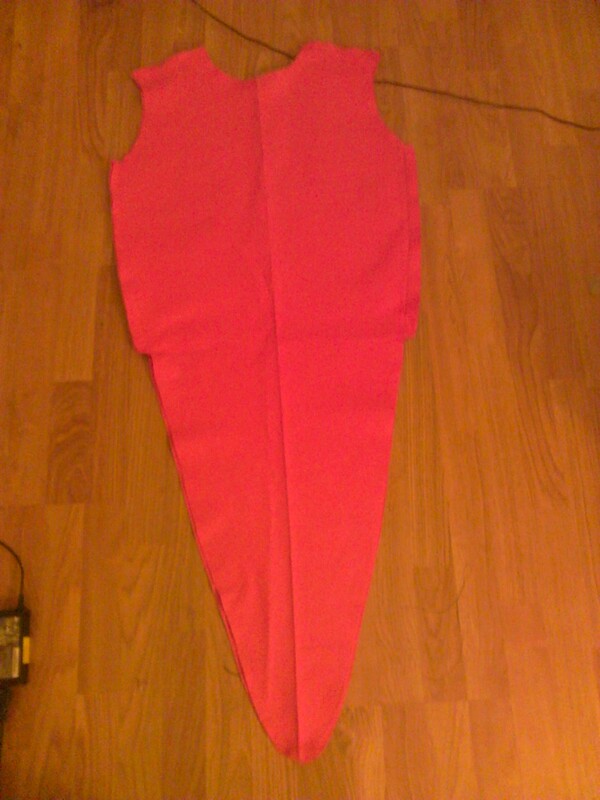 I did the neckline on the back half of the carrot so that it’s slightly less low that the neckline on the front. When James tried on the carrot, it was a bit too small for him, so I added an extra 6-inch panel in the back of the carrot. Step 4: Turn your carrot inside out, so that your seams are on the inside. Then, I mixed some brown acrylic paint with water, and painted the stripes onto the fabric to look like ridges in the carrot. One of the many wonderful things about acrylic paint is that it doesn’t take very long to dry! Step 5: This is the part where you make the hat. 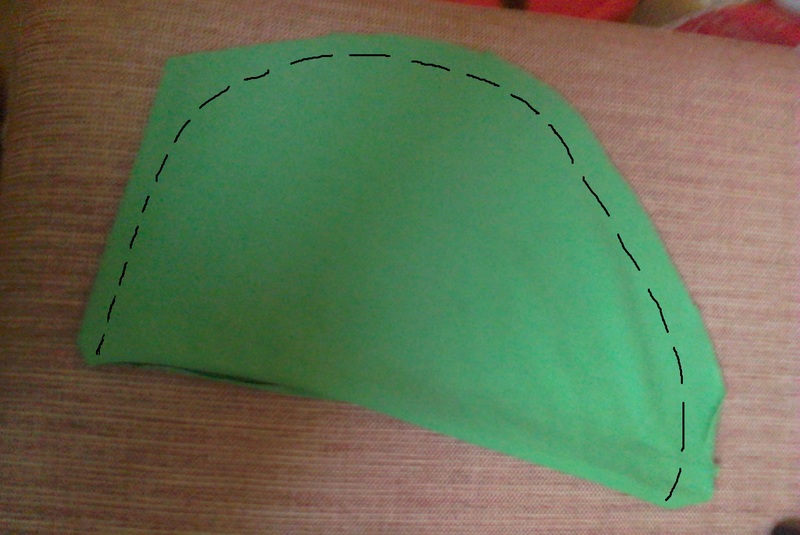 First, I drew this shape onto the green fabric and cut it out. Make sure you adjust the size of the hat to the size of your head! It doesn’t have to have a corner, that was just my lazy cutting. 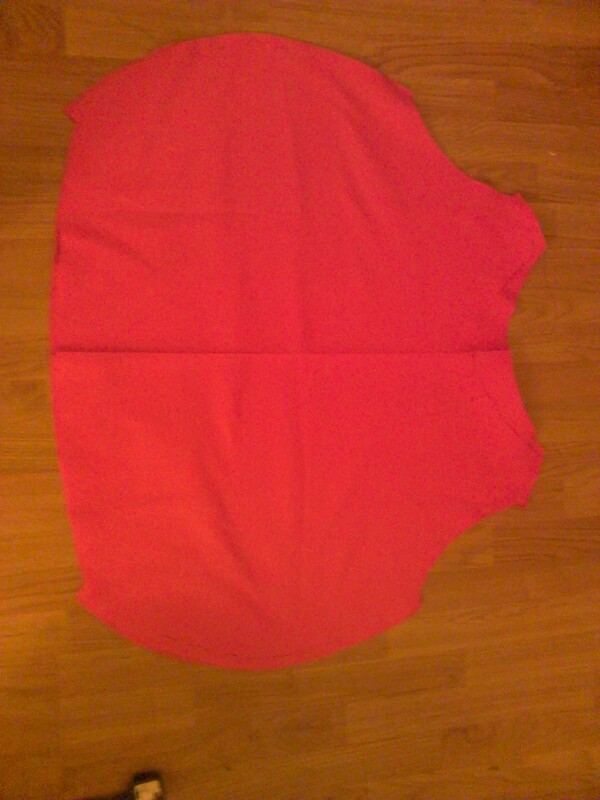 To do the other side of the hat, just trace around the side that you’ve cut out and cut this side out too. You might find it easier to pin them together whilst you’re drawing around the side of the hat. 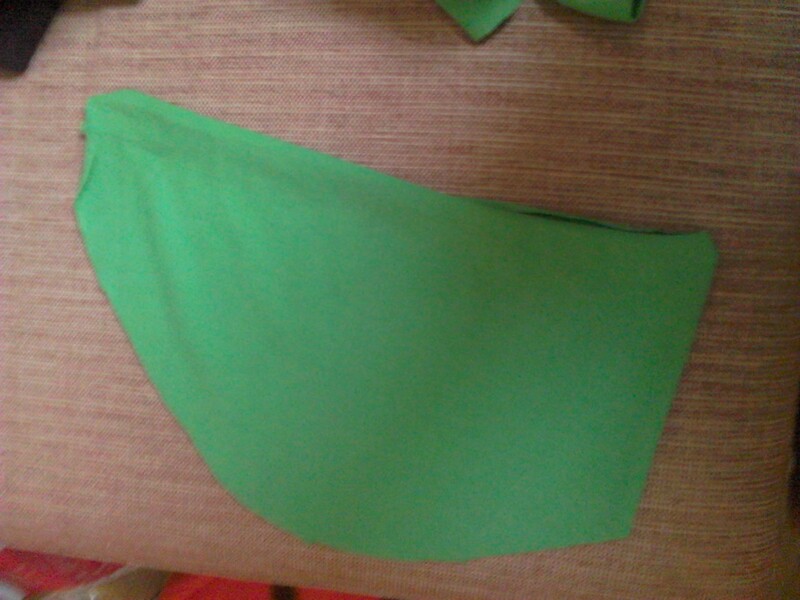 Step 7: Cut out some strips from the green fabric, in different lengths. I did 10 strips, but if you want your stalk to look fuller, then you can do more. Turn your hat inside out, and then sew your stalks onto the top. Yay, now you have a carrot costume!